Totoya is located at the central fish market. Fresh tuna or other seafood are procured from the market every day. The front of the restaurant is a store which offers fresh tuna before sliced or already-cooked dishes. Displayed items are depending on the market situation. Back area is restaurant where you can eat some maguro dishes. Lunch time is very crowded with people who are working around here or local people. They are coming to here to enjoy fresh seafood for low prices. Totoya has been loved by local people since a long time ago. All of them are tuna nigiri, but it has 3 kinds of tuna. The front tunas on the left photo are fatty tuna, the center is medium fatty and the others are regular tuna. Each tuna has a very different taste. 1 kinds of sliced tuna, sliced seaweed and green onions are topped on vinegared rice. Tuna had been seasoned already, you don't need to add condiment. It is in a large amount even though price is reasonable ! The store which offers already-made dishes is outside of the restaurant. After purchasing, you can eat it in the restaurant or of course take it out to your home. 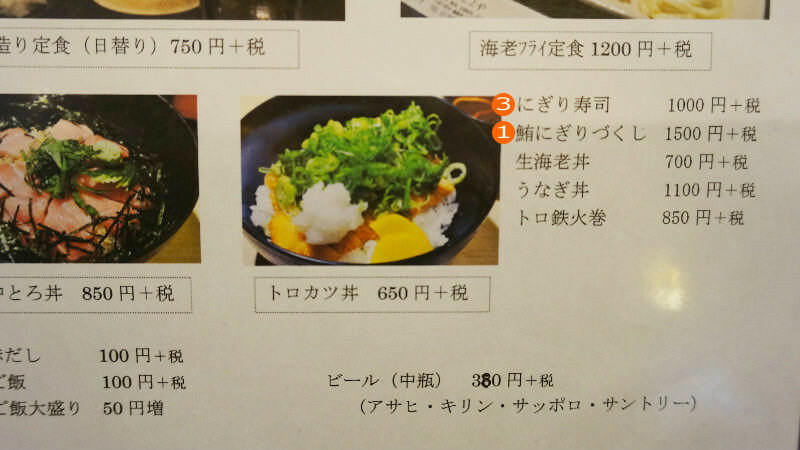 The menu has photos, you just point out what you order. You can take the Nigiri sushi out. Lunch time is really crowded, you should visit on early lunch time. I recommend maguro nigiri sushi to tuna lover. 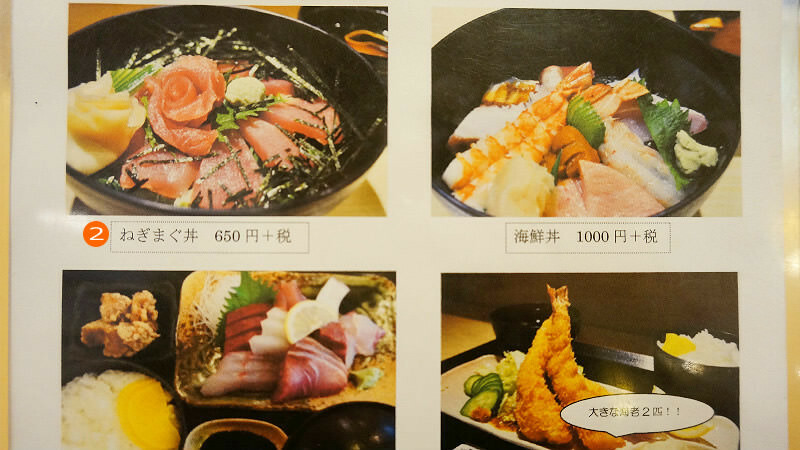 My favorite is medium fatty toro which is on the center of the maguro nigiri dukushi photo. it melted in my mouth after a bite. There are crowded with many people who are eating lunch or shopping already-cooked dishes at the store. 9-minute walk from JR Line Tanbagushi Stn. The taste and prices are good, but it is a little bit difficult to find out restaurant.